Our friend Deanna Newman came to our Monday Night Prayer Gathering to share about God’s work in Haiti at the beginning of the summer. She mentioned the need for summer clothing and shoes for a shipping container that is headed to Haiti. Guess what is headed to Haiti from the Grace Klein Community office?!! Friends – look what God did with our “little” efforts to share generously! We can conservatively guess that 25 items are in each bag which means over 2500 people can receive something they need. WOW! All these donations will be distributed to the Haitians that Real Hope for Haiti serves through their community outreach. Deanna Newman helps care for the children of the directors by overseeing their homeschooling to free up the parents to serve with ministry needs. Real Hope for Haiti focuses on health, community and faith. 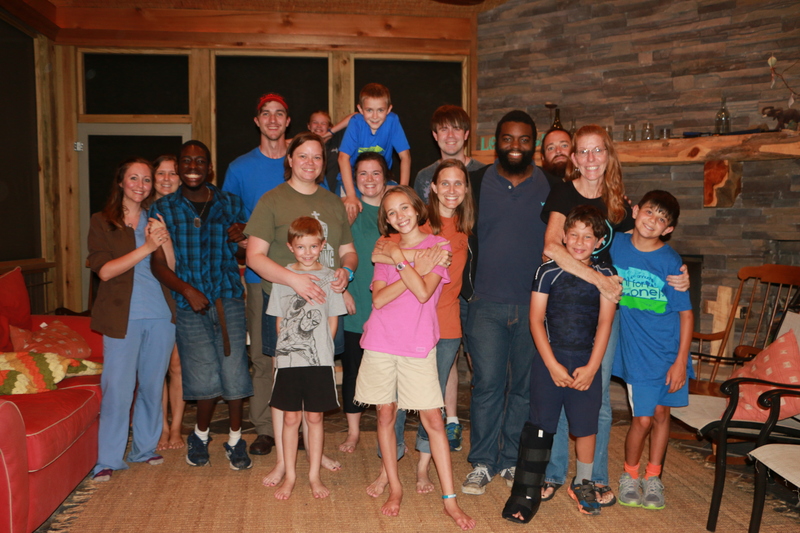 Many ways that Grace Klein Community works to build community and faith in Birmingham is similar to how they are building faith and community in Haiti. We are thankful for our World Wide friend Deanna Newman and will be praying for her as she returns to continue serving in Haiti. Pray for her to grow in intimacy with Jesus and enjoy time in the Word, prayer, worship and fellowship with other Christ followers. Pray for her time with the children as she guides them in the ways of the Lord and educates them for the future. Pray for new friends to whom she can share her heart and be encouraged by others. Pray for all her provisions, for every need to be met, for a continued delight in simplicity and God’s gracious bounty and testimonies of His goodness. Pray for opportunities to share about Jesus to strangers and old friends that she interacts with throughout the community, as well as boldness, gentleness and unending love for the Haitian people. Pray for good health for Deanna, that no sickness comes close to her. Pray for her safety, that she will experience no fear and that Deanna will stay in perfect peace. 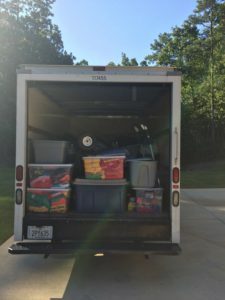 Pray the container of supplies makes it to Haiti with no trouble and that all the donations will help provide an open door to share about Jesus. If you can help financially towards the transportation costs of the donations, please give HERE and include Haiti love on memo line.